Part of the RHS Level 2 Certificate I am studying for involves gaining an understanding of how a flower fits together. 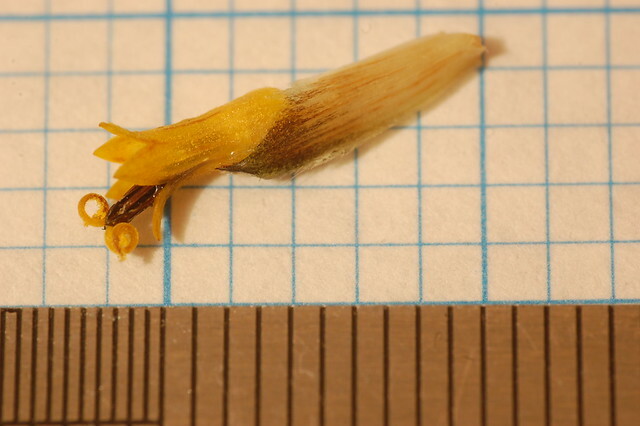 To help me, I took apart one of the flowers in the garden that was beginning to die (I think it is some kind of Helianthus but I am still working on a definite ID). Having the requisite lenses to take extreme close-ups is useful but this type of composite flower is made of lots of tiny flower structures. I still need a way of looking closer!